His rich spiritual experience, special wisdom, gift of foresight, and total dedication to God and the Church are so essential for us today. By his example, he inspires us to the zealous service of God and people. 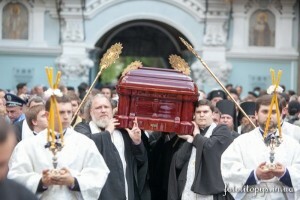 By God’s mercy and with the blessing of His Beatitude, Metropolitan Vladimir, for nearly seven years I have been Vicar of the Kiev Metropolia and chief administrator of the Ukrainian Orthodox Church. Election and consecration as a bishop is always a very exciting and touching moment in the life of anyone whom the Lord has called to the high apostolic calling. I consider it God’s special good pleasure for myself that my episcopal consecration was headed by His Beatitude Vladimir – an outstanding modern hierarch, Primate of the Ukrainian Orthodox Church, a Man with a capital letter, a mentor, and a loving father. It was with his blessing that I, having completed the Christian Theological Academy in Warsaw, was accepted as a teacher at the Kiev Theological Academy and Seminary and into the brotherhood of the Kiev-Caves Lavra. I have travelled this entire path from teacher to bishop under His Beatitude’s wise leadership. And now, working under his direct authority, I thank God that in these days, so difficult for our Church, He has sent us just such a Primate. But in order to fight for others, it is necessary to be maximally attentive to oneself. After all, much in the working out of our salvation depends on our personal example. 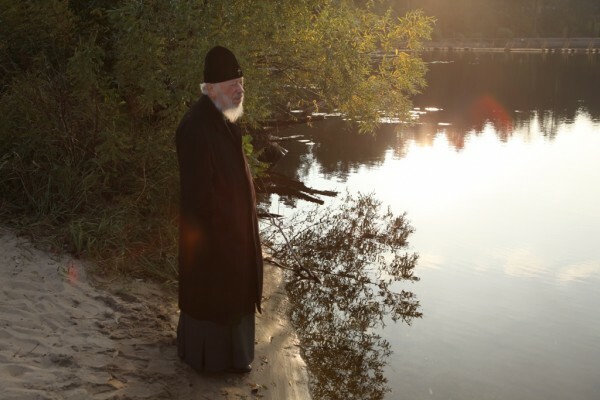 His Beatitude, Metropolitan Vladimir shows us such an example by his life – and may God grant that this example would serve us for many more years for us to follow, in the acquisition of spiritual wisdom and spiritual growth.